In order to come up with great employee engagement ideas, it is important to understand the difference between engagement and satisfaction. Engaged employees expend what is known as “discretionary effort.” That means that they go beyond what is simply required for the job and expend energy to solve problems, delight customers and reach company goals. A satisfied employee may like their job very much and have no intention to leave it, but do only what is necessary to keep it. Creating an emotional connection to the work is at the heart of each of these successful employee engagement strategies. The easiest ideas to become invested in are our own. Asking employees for ideas on how to solve your company’s most pressing problems is an excellent way to get them personally engaged in the solution. Making certain the employees feel heard improves morale, and putting people to work on their own ideas increases energy and commitment to success. When an entire organization is aligned around a common vision, amazing things happen. Employees consistently rank understanding the company’s mission and strategic goals as critical drivers of engagement. When the core values and vision are well understood, decision making becomes easier at every level and employees gain confidence in their own ability to advance the business. It’s much easier to spend discretionary effort when you know you are doing the right thing. Employees who report not having the tools, resources or time to perform their responsibilities also report becoming disengaged. Central to an employee engagement strategy is understanding what each person needs to be fully enabled. They aren’t unlimited, but expectations must be aligned with the available resources. Remember, employee engagement requires an emotional connection that makes employees want to go above and beyond. This is likely not possible if leaders operate behind closed doors and withhold information. Surveys show that trust in senior leadership is an important factor in engagement. Trust is not built with secrecy. It turns out that if you recognize and appreciate someone’s extraordinary effort, they give you more of it. 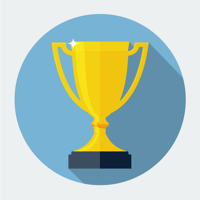 Any employee engagement strategy should include a program for employee recognition. It doesn’t have to be financial, but it must be sincere and timely. Think for a minute what your business could achieve if every employee were fully emotionally invested in success. Engaged employees delight customers, assist each other, and improve the business not because they have to, but because they want to. That’s why it is worth the effort to develop an employee engagement strategy for your organization. Get involved in the conversation: what challenges are you facing with your employee engagement strategy? Leave a comment below and tell us about it! Want to learn more about what to do to engage your employees? Download our free eBook today!